Susan “Sue” Bonfield Volkmann, age 72, of Ripon, WI, passed away on Sunday, August 14, 2016, with her husband by her side, at their home in Ripon. Sue was born November 25, 1943, in Chicago, IL, the daughter of William S. and Jean (Burkland) Bonfield. She graduated from Madison West High School and went on to attend four years at The University of Wisconsin Madison, graduating with a B.S. in Social Work. On June 12, 1965, Sue married Arthur D. Volkmann in Madison, WI. 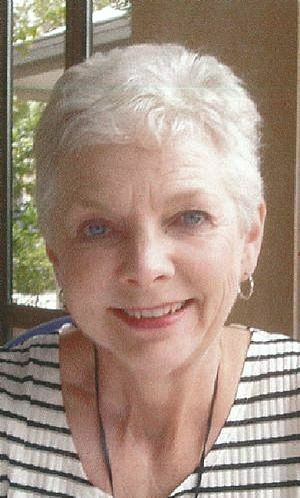 Sue was an active member of River Shores Evangelical Free Church in Berlin, WI. She served with Art with the SIM in Ethiopia for about five years and served four short terms in Indonesia with Reach Global of the EFCA. Her Primary Ministry in Ethiopia and Indonesia was teaching English as a second language, which she also did in Ripon. Survivors include her husband, Arthur D. Volkmann of Ripon, WI; her daughter, Amy (Christian) Lingenfelder of Honolulu, HI; her son, Daniel Volkmann (special friend Aelwyn Tumas) of Ripon, WI; her sister, Nancy (Richard) Bolen of Madison, WI; her sisters-in-law, Margaret Johansson of Juneau, WI, Karen (Tom) Witte of Madison, WI, Lynn Bonfield of Waunakee, WI; her grandchildren, Gabriele, Isaak, Benjamin, Ana, Elijah, and Micah Lingenfelder of Honolulu, HI, and Aya and Cyan Volkmann of Ripon, WI; and several other nieces and nephews. Sue was preceded in death by her parents, Bill and Jean Bonfield; her brother, David Bonfield; her sister-in-law, Joan Volkmann; her brother-in-law, Folke Johansson. Visitation for Susan Volkmann will be held Friday, August 19, 2016, from 4 – 7 pm at Butzin-Marchant Funeral Home, 515 Mayparty Dr., Ripon, WI 54971 and again on Saturday, August 20, 2016, from 12 – 2 pm at River Shores Church, 253 S. Church St., Berlin, WI 54923. A Memorial Service for Susan Volkmann will be held Saturday, August 20, 2016, at 2 pm at River Shores Church in Berlin. Pastor Casey Getz and Pastor Gary Zacharias will officiate. Memorials may be made to World Relief for Refugees, (Attn: Donations) 7 East Baltimore St., Baltimore, MD 21202 and River Shores Church, 253 S. Church St., Berlin, WI 54923.